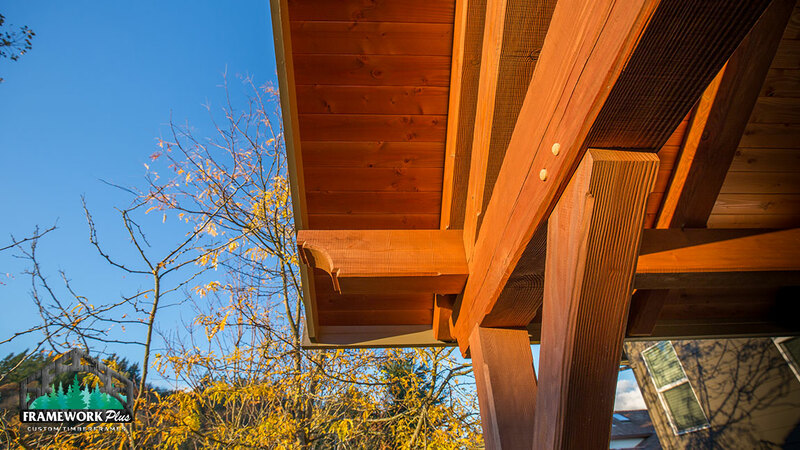 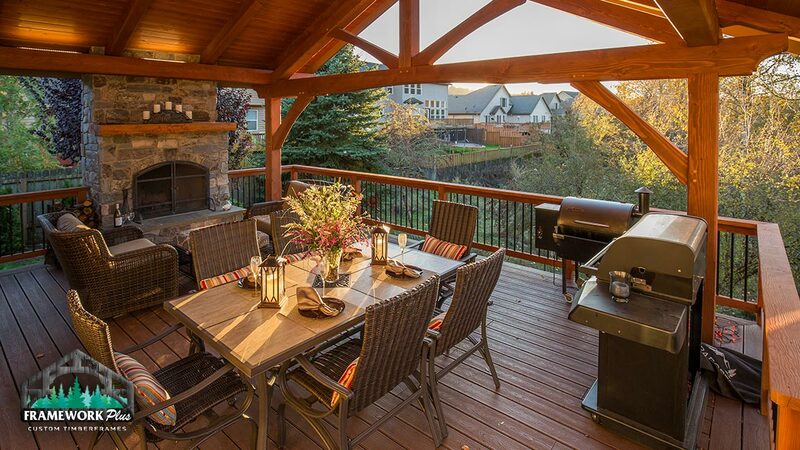 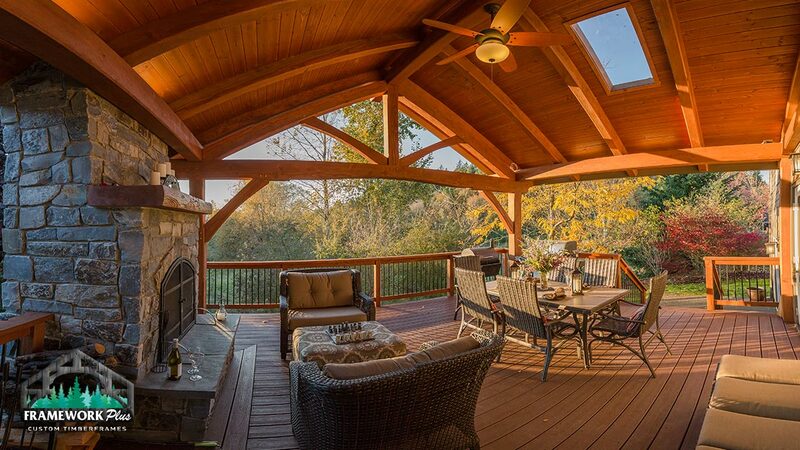 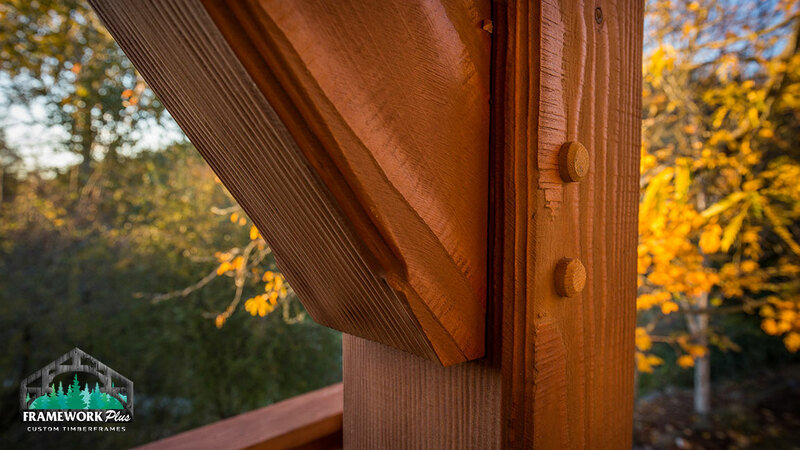 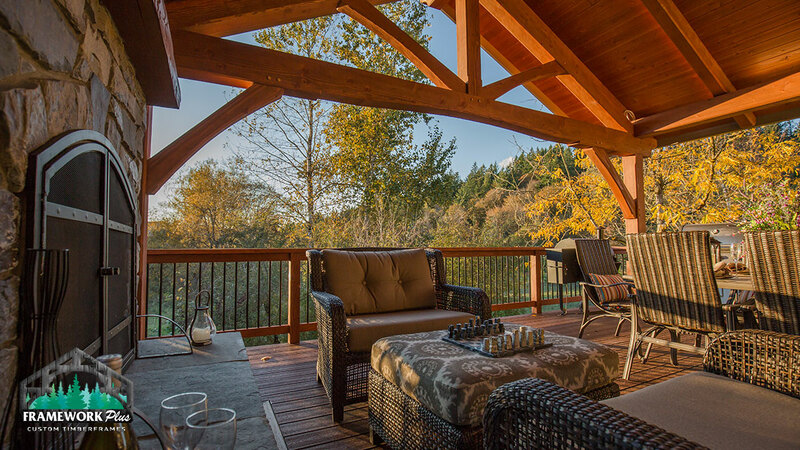 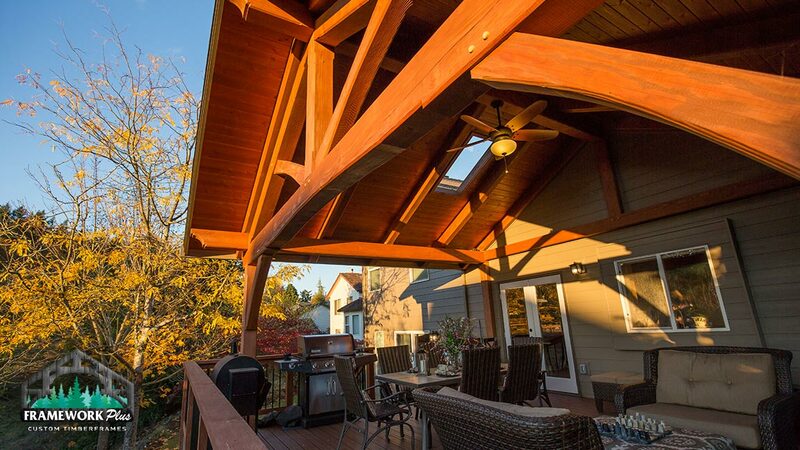 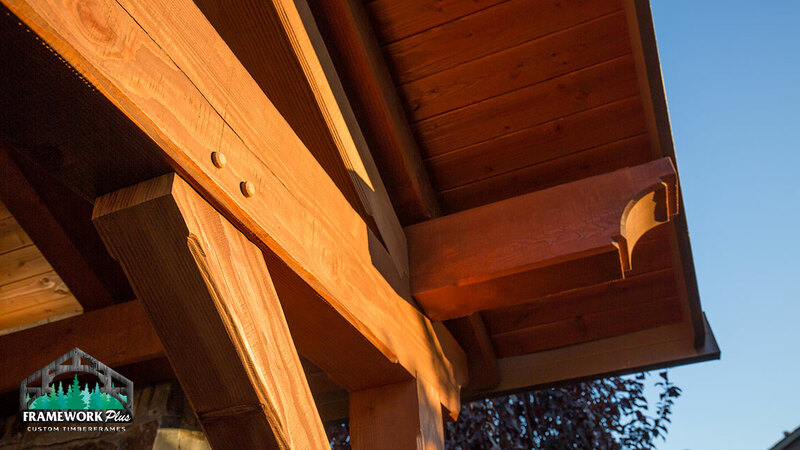 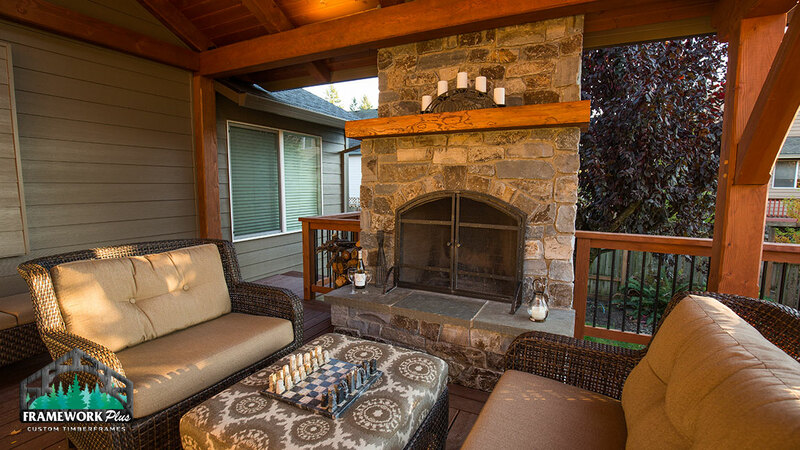 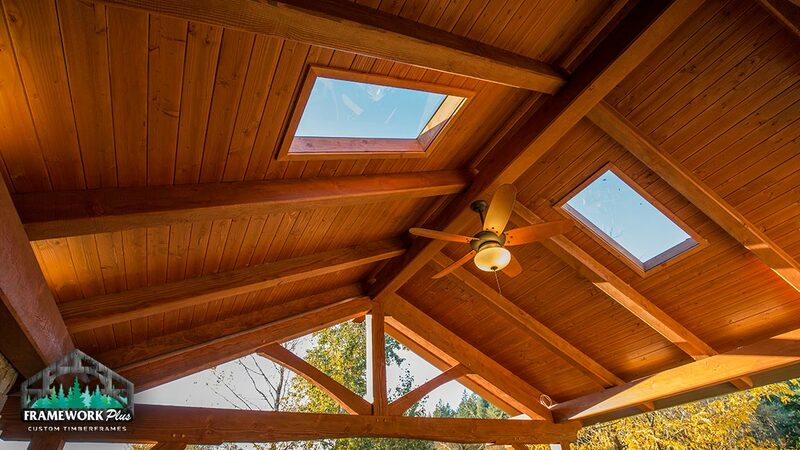 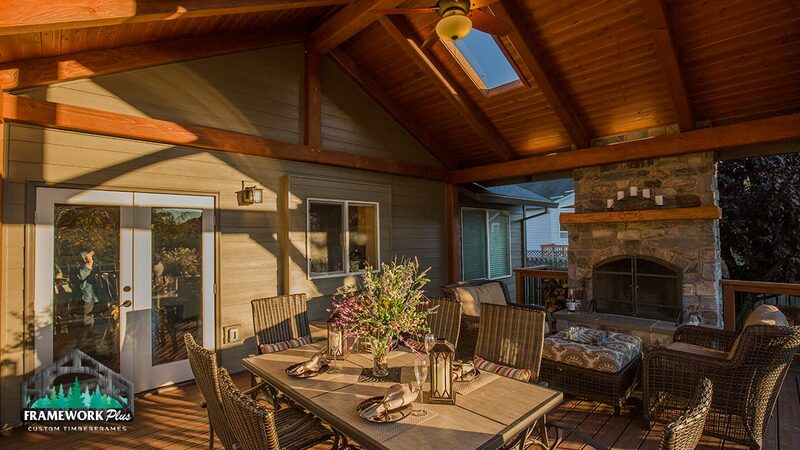 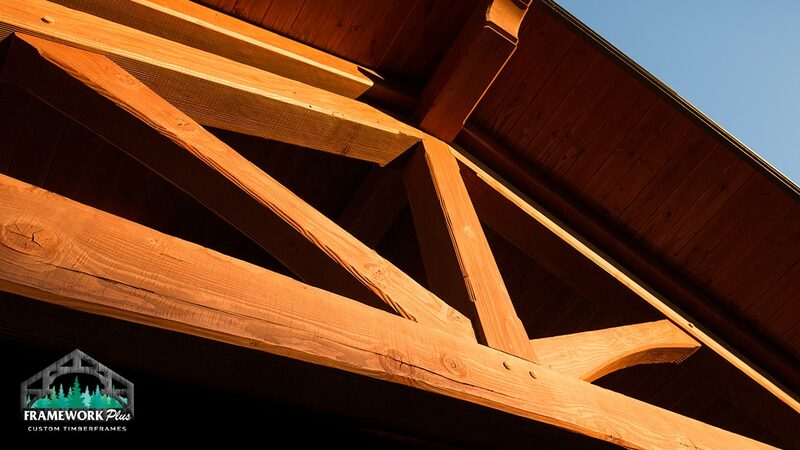 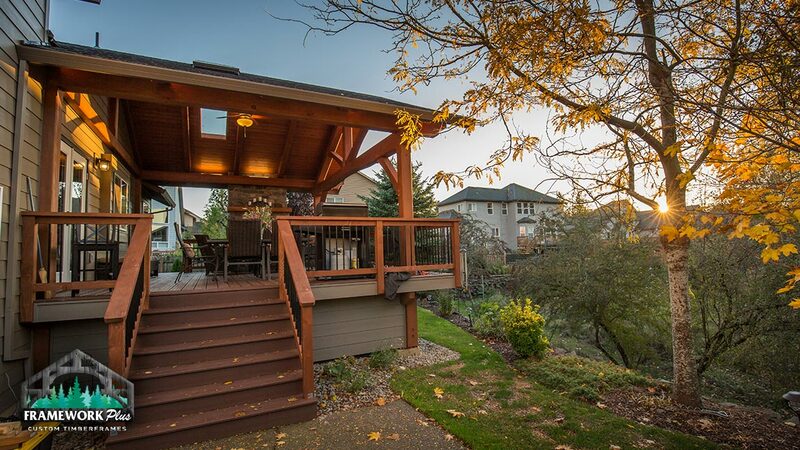 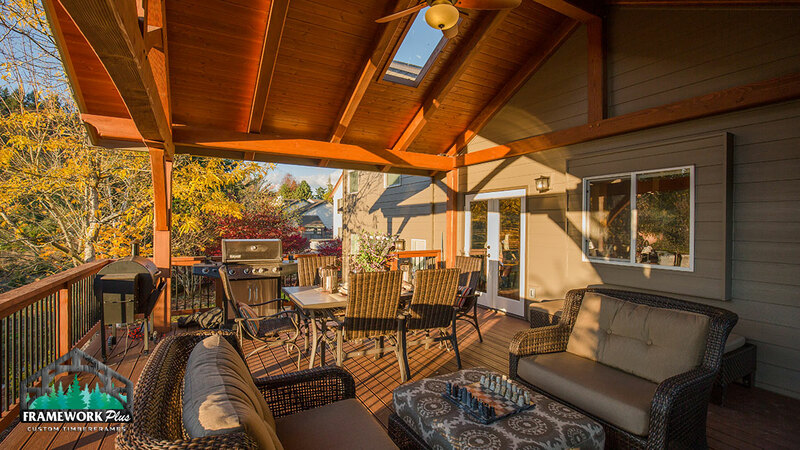 This king post truss style pavilion is an attached outdoor living area in Damascus, Oregon. 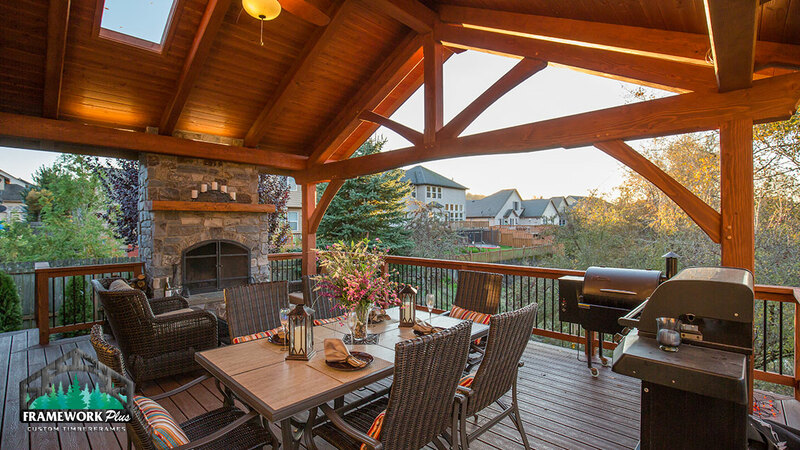 Our Timberline pavilion kit was customized for this client with skylights, stone fireplace and a custom timber mantel. 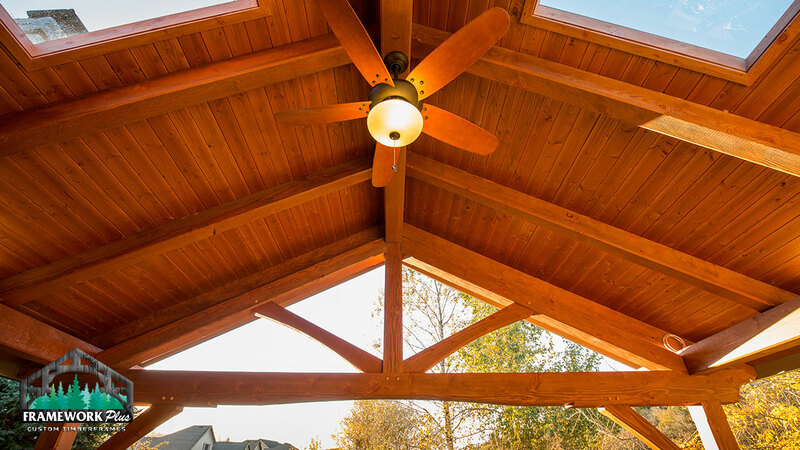 This 18’ x 20’ pavilion with tongue and groove wood ceiling makes outdoor living stylish and comfortable.